Patients, doctors, nurses, insurance companies, and governments desperately need Treatment Scores (they just don't know it yet). Treatment Scores are disruptive technology. This is an update of our most popular blog post. People have chosen their computer of choice; it's the smart phone. * Smart phones are ubiquitous around the world. This means that we need to be able to get medical information on smart phones in a way that it can be easily understood. 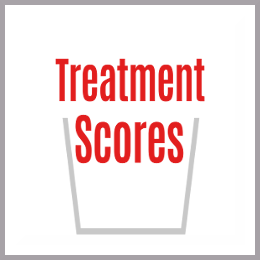 We need Treatment Scores, which represent the net treatment benefit for the patients studied in the past. Treatment Scores allow for shared decision-making and personalized medicine to actually happen, instead of just being ideas people talk about. We need to save time and money! Imagine being a physician, nurse, or allied health care provider and having Treatment Scores figured out for every treatment that is important to your medical practice. 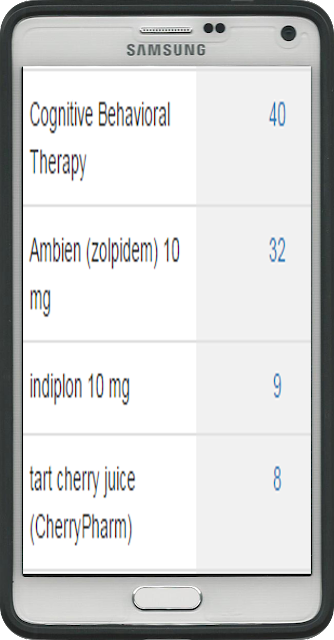 Such Treatment Scores, created using the software tools we have created, could be used for patient education, informed consent, shared decision-making, and personalized medicine. Treatment Scores should be done at every Journal Club at every medical school and residency program worldwide. WE DARE TO ASK THE QUESTION: Why is that we can figure out our “gross income” and “net income” every year when doing our taxes, but physicians have never been able to tell patients the “gross treatment benefit” and the “net treatment benefit” of medical treatments? It's just mathematics. That's why we tell people Treatment Scores are "Sabermetrics for medicine." Did you see the movie "Moneyball" starring Brad Pitt, which was about Sabermetrics? Having Treatment Scores would save time. If the Treatment Scores were transparent, it would be a huge step forward in teaching the entire world how evidence-based medicine works. Such a system would finally make shared decision-making possible. Let's say a physician is with a patient and he or she pulls up their "homework," which is their own review of the medical literature for 130 different treatments for insomnia on their cell phone. The physician may show some of the treatments to the patient, because the patient wants to learn about them. Perhaps your Treatment Score results are typical of a recent "systematic review" of the medical literature that seems to say cognitive behavioral therapy was an effective treatment for the patients studied. You may bring up this list: cognitive behavioral therapy, Ambien (zolpidem), indiplon (off the market), and tart cherry juice (which reportedly raises melatonin levels). Your Treatment Scores are 40, 32, 9, and 8. Personalized Medicine. Now you decide to do personalized medicine and shared-decision making with the patient. 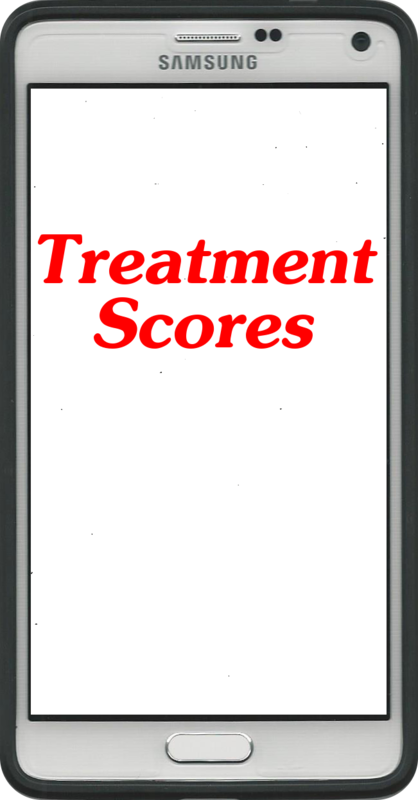 You show them the next screen behind the Treatment Score for "cognitive behavioral therapy," which is the Treatment Score Calculator™. Now, you can both see the problem. The patient appears horrified. You ask for their input. They say, "That reduces the Treatment Score to nearly zero for me. I don't have 90 minutes per day for six weeks to go to group therapy! I have a job, kids, family...." You say, "Okay let's reduce the Treatment Score for cognitive behavioral therapy down to almost zero based upon your input." A different patient may be exactly the opposite. They may love the idea of going to cognitive behavioral therapy for 90 minutes a day. They may have the time and the inclination, and may not want to take any medications if they can avoid them. This is why patient input as part of shared decision-making is so important. This is why we need a system that allows for patient input. In this example the patient had some input into the review of the treatments. The patient was able to let the doctor know that the time that would be needed for therapy sessions was a huge negative for them. We cannot know this without true shared decision-making between patients and physicians. What if the side effect in question was something more serious? Like the side effect of facial nerve paralysis that can happen with brain surgery? Or the side effect of incontinence that can happen during pelvic surgery? Or the side effect of permanent neuropathy than can happen with chemotherapy? Shouldn't we have a system like this where patients can have some input? Shouldn't we be able to combine evidence-based medicine and shared decision-making? Shouldn't we help educate patients about these things before they are treated, not after they've already been treated and have suffered the consequences? Doesn't informed consent require sharing the numbers? Doesn't continuing medical education require this new and improved system? "You've got to start with the customer experience and work back toward the technology - not the other way around." - Steve Jobs. What this means is that the front end of Treatment Scores needs to be very simple, fast, and understandable. The back end can be full of statistics (ranges, confidence intervals, standard deviations, statistical power, p values, number needed to treat, ratio of means, relative risk, and so on). The front end can also be customized for the casual user versus the advanced user. Do We understand Medical Treatments Now? No! In a study of 531 physicians: "Do clinicians understand the size of treatment effects? A randomized survey across eight countries" (Bradley C. Johnston, PhD, et al.) They found that over 80% of physicians could not correctly figure out the treatment effects that were reported as "mean difference in natural units" or as "standardized mean difference." This is just one example of all the confusion! I think one can reasonably assume that if physicians don't understand medical treatments, then patients don't understand medical treatments. DISCLAIMERS: We claim zero accuracy with Treatment Scores. You must consult your own licensed physician, or other licensed medical professional, for diagnosis, treatment, and for the interpretation of all medical statistics including Treatment Scores. 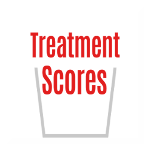 Treatment Scores are for educational purposes only. Treatment Scores may be incomplete, inaccurate, harmful, or even cause death if used for treatment instead of consulting a licensed medical professional. No medical advice is being given. We DO NOT CLAIM to cure, treat, or prevent any illness or condition. Nor do our services provide medical advice or constitute a physician patient relationship. Contact a physician or other medical professional if you suspect that you are ill. Call emergency services (call 911 if available) or go to the nearest emergency room if an emergency is suspected. We are not responsible for any delays in care from using our website, our services, or for any other reason. We are not responsible for any consequential damages of any nature whatsoever. We make no warranties of any kind in connection with our writings or the use of TreatmentScoresBlog.com or TreatmentScores.com. 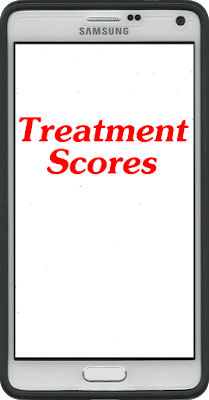 Treatment Scores are about what happened to patients studied in the past; they do not predict the future. Copyright © 2017 Treatment Scores, Inc.
*Someone made a similar statement before me about cell phones being so dominant, but using Google search I was unable to find the original source if there was one.